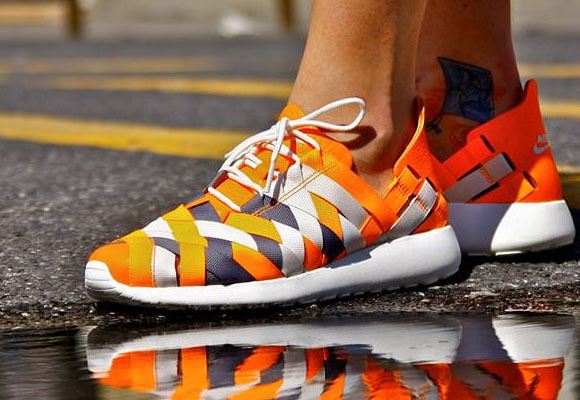 Quite the interesting take on the ever popular Roshe Run, these “Bright Citrus” beauties ditch the typical mesh upper for a woven belt system that creates a striking pattern across this now classic Nike chassis. Featuring the same general silhouette and sole that one would normally find on the Roshe Run, the “Woven” moniker in the name comes from the change-up that occurs on the upper. 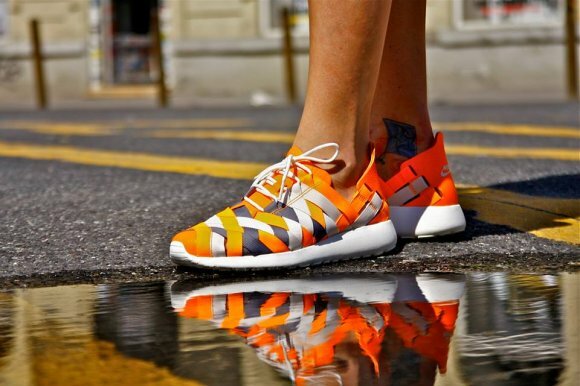 This unique construction takes the Roshe to a whole new level, and is a welcome change of pace. You can change up colorways all you want, but this face-lift is truly a sight to see. Thankfully it appears these woven wonders have hit some retailers, but stay tuned via our Facebook, Twitter and Instagram to find out when a more general release might occur. More photos after the jump.